THE CAMBODIAN BOOK OF THE DEAD – Reloaded! I am very pleased that The Cambodian Book of the Dead, the first Detective Maier novel, originally published by the now defunct Exhibit A, is out in a new Kindle edition, with a brand new cover, with Crime Wave Press. The second Maier Mystery, The Man with the Golden Mind, may well follow suit in the coming weeks, while the third and last part in the trilogy, The Monsoon Ghost Image, is almost written. Though I have said that before and the manuscript still needs considerable editing. 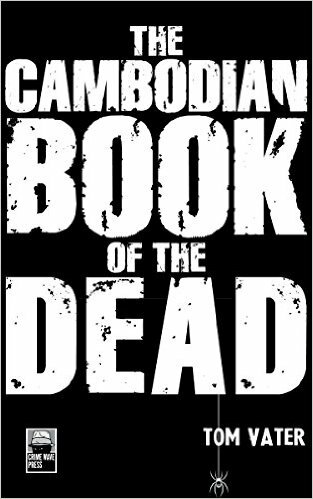 For now, I am super happy that The Cambodian Book of the Dead is out there again. Enjoy. “The action itself is fast and furious from start to finish, with enough killings, assassins, tortures and horrors to satisfy the most jaded palate…” writes Crime Review UK.